Invoice discounting is a simple and fast way of raising working capital. It allows you to raise cash up to 85% of your invoice values soon as you bill them to customers and is popular for larger businesses with typically over £1m annual turnover. There are many advantages to this type of financing as outlined below. The funding effectively works like an overdraft and interest is charged usually a fixed rate over the base rate, typically 1%-3%, in addition to the fee on the value of the invoices, which can range from 0.1% to 1%. The charges depend on the type of industry sector and also on how well credit control is run within the business. Invoice discounting is different to factoring, which has been around for much longer and where the lender takes over the debtors and credit control. It is increasingly popular due to banks reducing overdrafts and lending. 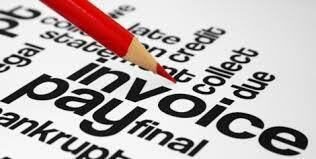 If you are interested in invoice discounting, my advice is to look at several companies and beware of minimum charges, excessive break fees if you want to discontinue and any miscellaneous charges. Most of the large banks also provide this type of funding but if you’re a smaller business, a SME funder will be more flexible. Also be realistic about the amount that can be advanced since it could realistically range from 65%-75% rather than the 85%-90% advertised by many and depends on the industry sector and individual circumstances. It can also be a good way to part finance a startup since there are funders out there that will consider these in the right circumstances. Asoka, at SME Invoice Finance we can offer invoice discounting to businesses that don’t meet the normal industry criteria. As you have rightly pointed out in your article, most lenders will want a business to have turnover in excess of £1m. At SME we judge each business on its own merits and if we feel they have the in-house ability to manage their own sales ledger then we can offer them invoice discounting whereas some of our competitors would default to Factoring. Dave, great to hear that. How about startups – do SME Invoice Finance consider startups and if so what factors would they need to be successful in obtaining invoice finance? Asoka, at SME we are happy to consider startups for invoice finance. As an industry, normally startups are only ever offered factoring as there is no history of ability to manage the sales ledger. At SME we would consider Invoice Discounting for a startup, if there was a justification that the business could manage the sales ledger without any assistance from us. We are happy to discuss all cases. Many thanks, Dave. That’s useful to know. SME funders such as SME IF and ourselves (Skipton Business Finance) certainly benefit from the fact we are able to fund start-ups and be more flexible. At SBF, a large proportion of our invoice discounting clients have been turned down by their banks and have turnovers of less than £1million. It’s good to know that you support startups, Veronika. Hey there! I’ve been reading your web site for a while now and finally got the courage to go ahead and give you a shout out from Kingwood Tx! Just wanted to mention keep up the fantastic work! You’re welcome, pls go ahead…. Thanks for your insights! You articles are very informative. I would like to have my own business soon, this is really helpful.